We Now Deliver To Johor Bahru, KL, Melaka and Penang. 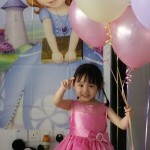 If you just want to order the balloon bouquet pack/kit without helium (ship flat), then just follow below steps. 1. 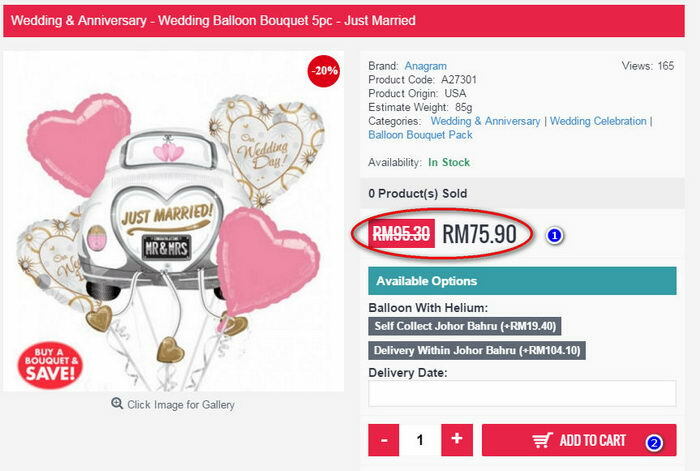 This is the final price of the balloon bouquet. 2. Decide how many unit you want to order, then press the "ADD TO CART" button. 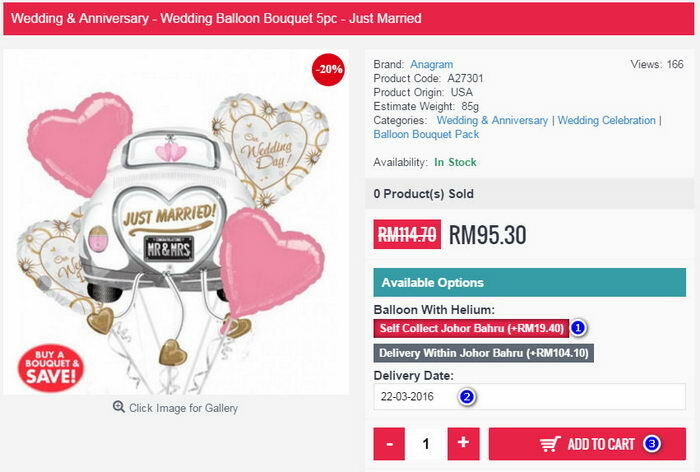 If you just want to order the balloon bouquet pack/kit with helium gas and will self-collect at our JB shop, then just follow below steps. 1. 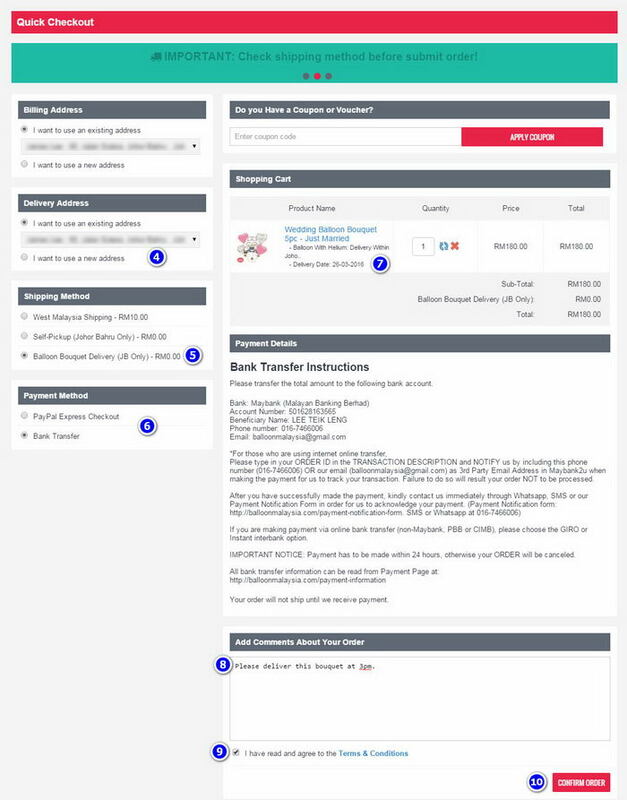 Click this "Self-collect JohorBahru" option, the button will change to red color. 2. Click on the "Delivery Date" and choose the date from our date picker. 3. Decide how many unit you want to order, then press the "ADD TO CART" button. 4. Make sure you choose your shipping method as "Self Pickup Johor Bahru"
5. Double check your collection date. 6. Add your comment here and tell us what time you will come and collect the balloons. 7. Tick the T & C.
8. Double check everything and click "Confirm Order" Button. (It might take sometime for the system to jump to next page after you click). 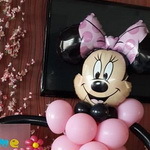 If you just want to order the balloon bouquet pack/kit with helium gas and help you to deliver within Johor Bahru, then just follow below steps. 1. Click this "Delivery Within JohorBahru" option, the button will change to red color. 4. This is the delivery address where you want us to send, make sure it is correct. 5. 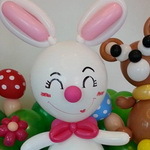 For shyipping method, choose "Balloon Bouquet Delivery (JB Only)". 6. 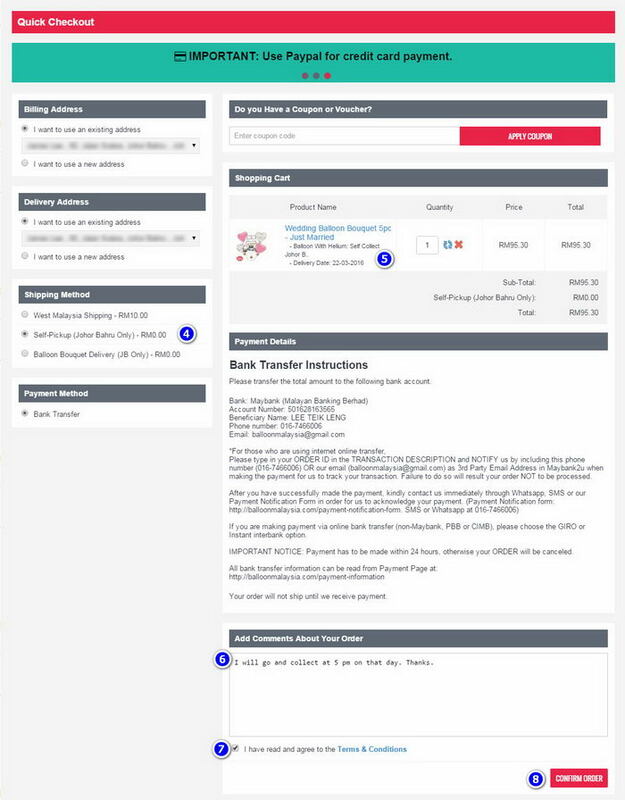 For payment method, you can choose "Paypal" for credit card or Bank Transfer. 7. Double check your delivery date again here. 8. 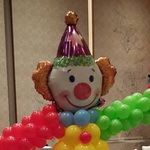 Add your comment here and tell us what time you will want us to deliver the balloons. 9. Tick the T & C.
10. Double check everything and click "Confirm Order" Button. 4. 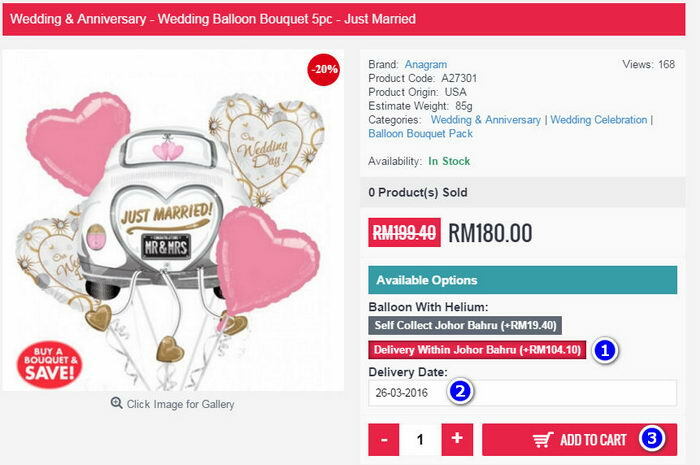 If You Want To Order Balloon Bouquet With Helium & Deliver To KL, PJ, Melaka or Penang.